It’s never fair to compare the adoption rate of a new iOS version with official Android distribution numbers, as Apple controls its entire mobile ecosystem, while Google allows third-party hardware manufacturers to make their own software choices. But it’s certainly fair to compare Pixel devices with iPhones on a software support level. Unfortunately for Android “purists”, Big G is still not ready to compete in the same league as its Cupertino-based arch-rival. For what it’s worth, Google has been stepping up its game, promising three years of security updates and three years of Android version updates for the Pixel 2 and 2 XL shortly after their 2017 announcement. The original Pixel and Pixel XL were only guaranteed security updates for three years, i.e. until October 2019, with major OS revisions reaching an end this fall after the Android 9.0 Pie promotion. 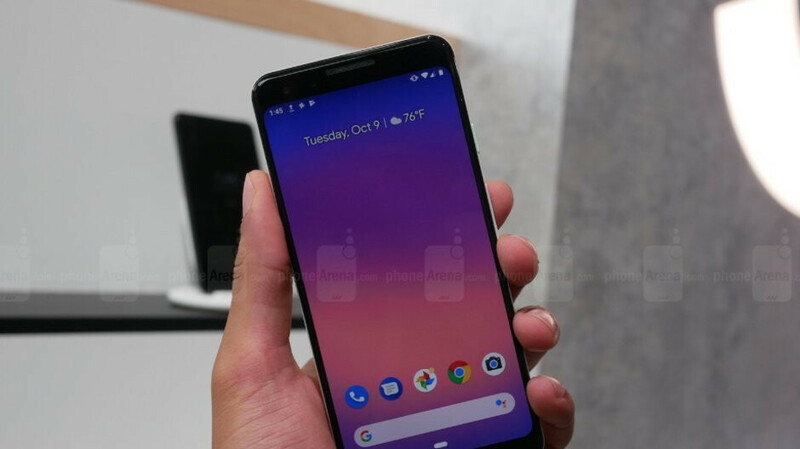 Fortunately, the newly released Pixel 3 and Pixel 3 XL are following in the footsteps of the Pixel 2 duo with a fall 2021 deadline for both security and Android version updates. Unless Google radically alters its OS naming scheme and upgrading tempo, that means the two new stock Android handsets are looking at Q, R, and S enhancements over the next 36 months. That’s obviously a lot better than the typical expectation for an Android flagship device from other companies, but it’s still no match for Apple’s one-of-a-kind policy. In case you’ve forgotten, 2013’s iPhone 5s currently runs iOS 12, not to mention 2014’s iPhone 6 and 6 Plus. "...it’s still no match for Apple’s one-of-a-kind policy. In case you’ve forgotten, 2013’s iPhone 5s currently runs iOS 12, not to mention 2014’s iPhone 6 and 6 Plus." Really? I know it's true but... Do you really have to rub our noses in it? It's in a poor taste, I'd say. And that's coming from an Apple user. Nevertheless; I'm glad that Google is breaking all kinds of Android Phone stereotypes with its Pixel Lineup! Pixel brought butter smooth performance. Pixel 2 brought Android Oreo that could outrun iOS in most scenarios and now Pixel 3 has brought 3 years worth of updates to the lineup. Winning! I'd have bought The Google Pixel 2 instead of an iPhone 7 if iMessage was crossplatform! Oh well, G'Day! even in a google pixel article they have to bring up the iphone. Pixel XL user here. Given the fact that the two prime aspects of the Pixel line are camera quality and guaranteed timely updates, I'd have thought that the latter aspect would have been amped up especially considering how much we're expected to pay for the devices in the first place. In my opinion, with the iPhone being the gold standard when it comes to updates, it's perfectly justifiable to compare the Google Pixels to the Apple iPhones when it comes to updates, as now there's simply no excuse for slacking in it, considering the fact that updates are handled by directly by Google, and Project Treble means the chipset manufacturers can't stand in the way either. Three years is an improvement, but not enough in my opinion. When I buy a phone, I want it to last in terms of hardware and software. I wouldn't want to pay over £700 for a device that would become obsolete in three years. Until this is fixed it looks like I'll be having to keep buying old-gen Pixels every year. My thought exactly. I actually thought(still think) that google will upgrade the original Pixel to android Q to promote project treble. Wouldn't that be something, eh? I'm not as optimistic as you but I do hold some hope in it. Otherwise Nokia look to be quite promising when it comes to the price:camera:updates combo. Step in the right direction. I guess I can justify extra $50 for what they overcharge, for now. The last few version updates have added trivial things. Wonder how many people are actually going to purchase and still be using these phones 3 years from now. These are begging for immediate upgrade. Oh, that notch - doesn't really even have a great purpose like other notches.